Quick Quotes is very excited to participate in the 2017 Fall Coffee Lovers Blog Hop! 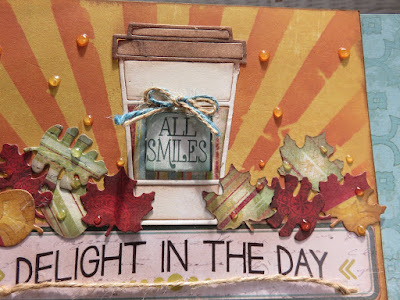 The fall edition of the wildly popular Coffee Lover's Blog Hop began Friday. Quick Quotes is a super sponsor for this hop and if you play along you have a chance to win a $25 Online Gift Certificate*. There are several days to play, so be sure you link up your project for a chance at tons of fabulous prizes by many sponsors! For all the important information about winners and linking up for this hop, please be sure you visit: 2017 Fall Coffee Lovers Blog Hop. We invite you to stop on back to our blog here as we will have several Fall Coffee projects to share with you in the next several days as we celebrate the love of Fall and Coffee! 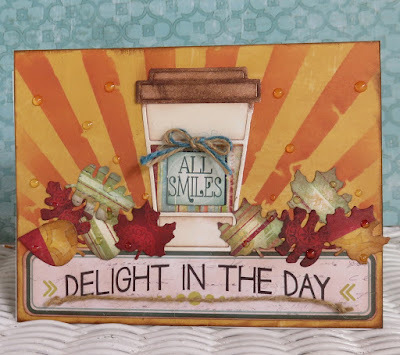 Our designer today is June! Hello Quick Quotes and Coffee Lovers fans! June hosting today. 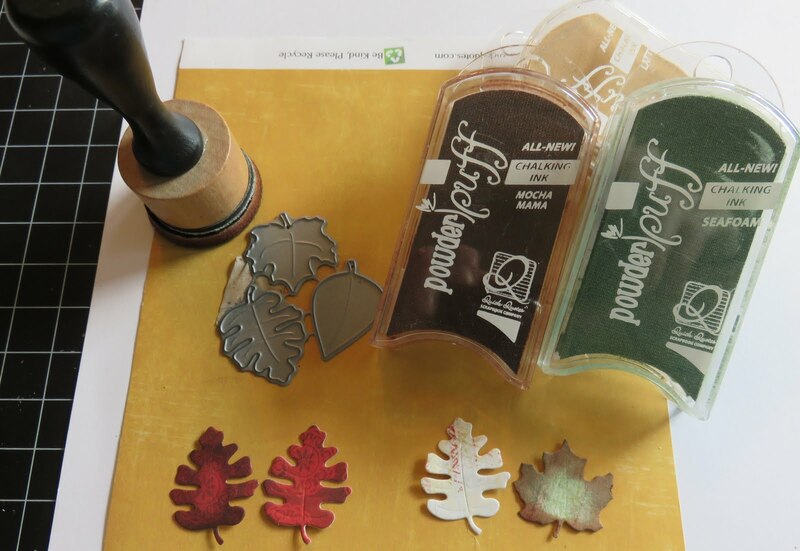 Hope you have been enjoying all the fun, fall, coffee themed projects so far! 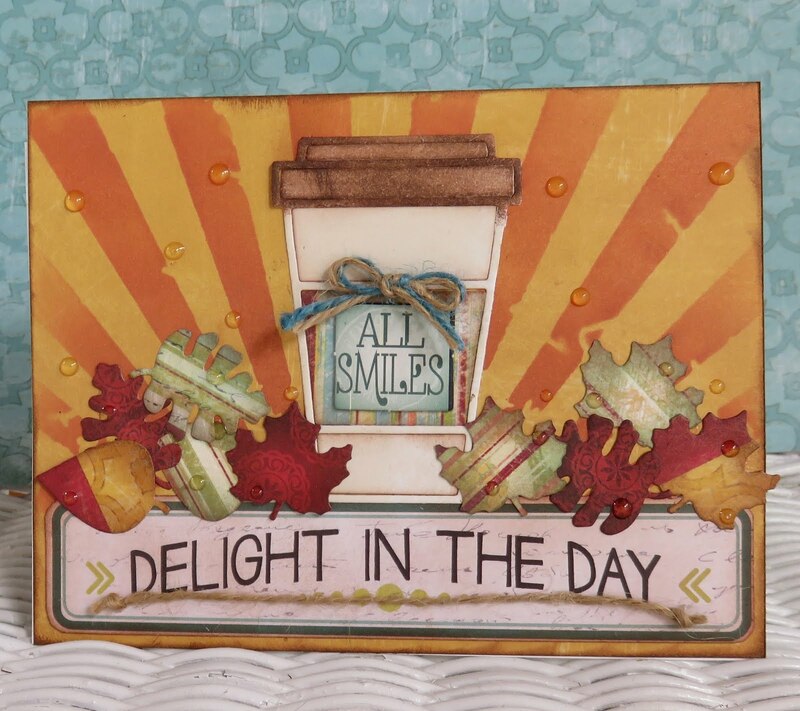 The background was created using Whistlin' Dixie 107 (yellow) with Sunset and Mocha Mama PowderPuff inks and a stencil. The leaves were die cut from Whistin' Dixie 100 and edged with Seafoam and Mocha Mama PowderPuff inks. Check out the big difference the inks make! 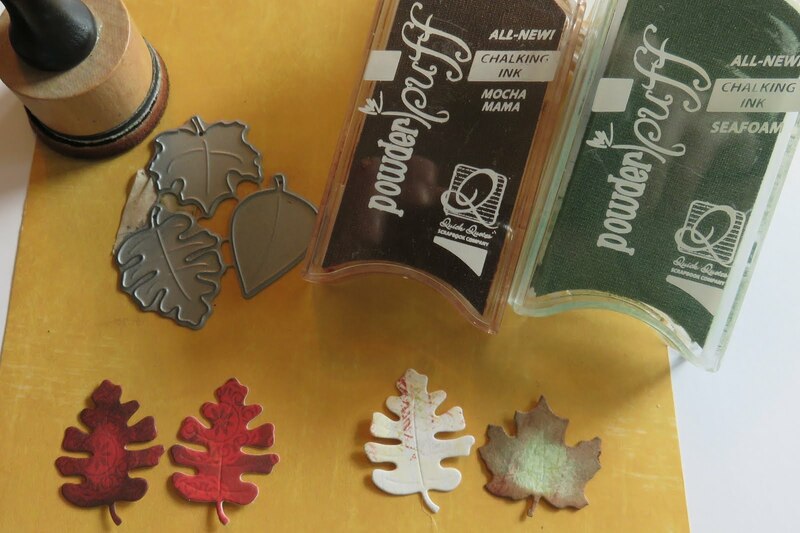 The coffee cup was die cut from Windsong 103 and edged with Latte PowderPuff ink. 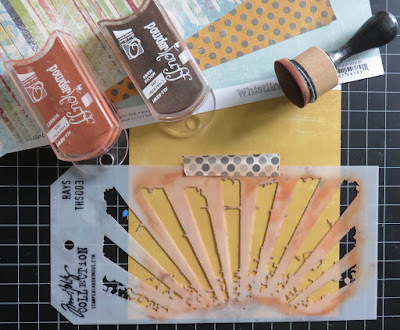 The "lid" was ink blended with Mocha Mama PowderPuff ink. 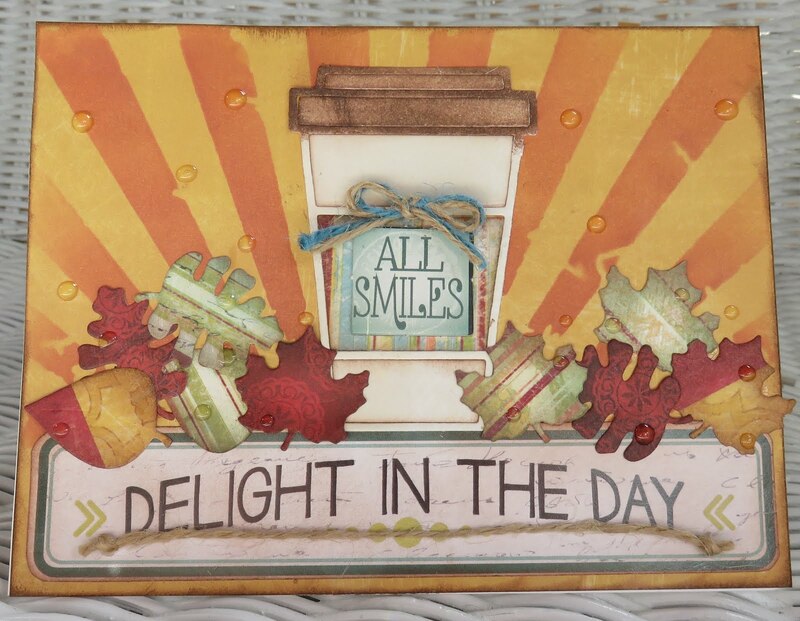 The "Delight In The Day" sentiment is from Whistlin' Dixie 500 cut apart quotes sheet. As it was bright white, I toned it down rubbing Latte PowderPuff ink on it. 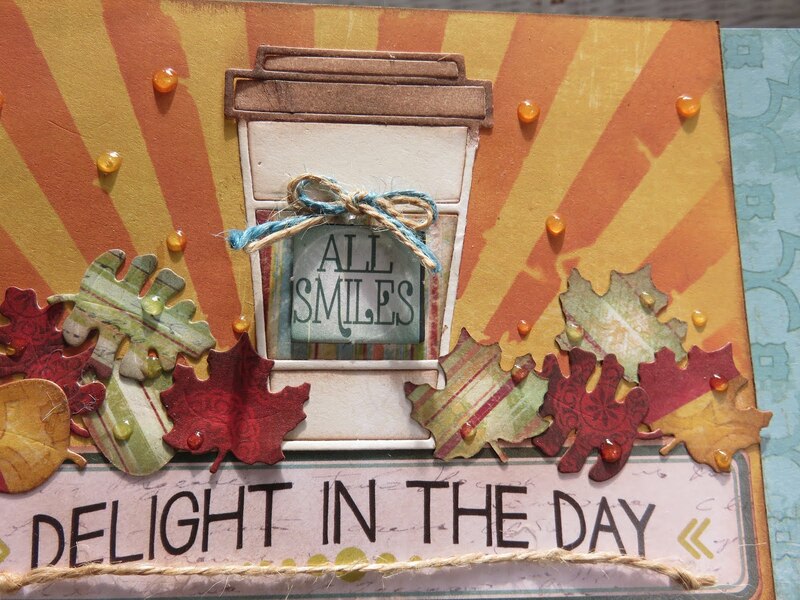 The "All Smiles" chipboard is from the Earth Wind Fire collection. To finish off this card, twine and yellow jewel drops were added. 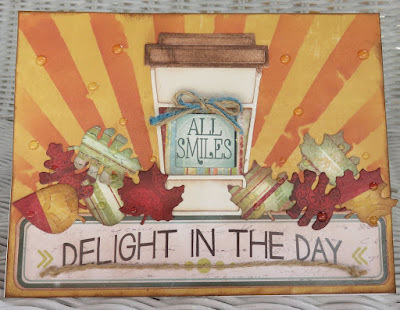 We hope you are inspired to join in the caffeinated fun! For more ideas you can check out the Fall 2017 Coffee Lovers Blog Hop. And you can enter Quick Quotes "Anything Goes" Challenge as well! Love the background and the leaves.